Do you all remember that ruckus that happened over whether or not it was illegal to jailbreak your mobile device? Well, that whole fiasco is poised to come back in a bad way this weekend. As part of that decision, it may become illegal to unlock your smartphone starting this Saturday, January 26th, unless you get permission from your carrier. This all goes back to the decision by the U.S. Copyright Office, which decided back in October that it was legal to jailbreak your mobile device under an exemption in the DMCA. Unfortunately, that exemption was only extended for 90 days when it came to unlocking a device that you purchase from a carrier, and that 90 days ends on Saturday. To be clear, this will make it illegal to unlock carrier-locked devices without permission from your carrier. This doesn't apply to devices that start out unlocked like many Verizon LTE devices, like the Verizon iPhone 5, and the Verizon HTC Windows Phone 8X, or T-Mobile devices like the Nexus 4. And, of course, unlocking and jailbreaking will still void your warranty. It's funny how in the US it's illegal for a customer to unlock their phone but here in Iceland it's illegal for a carrier to lock your phone. Because here, in the US, politicians are like hookers. They go to bed with anyone with enough money, enough said!!!! Iceland and the US have totally different views and customs. You technically don't own the device until you fully pay it out on your contract, e.g. Subsidized phones. How do you not own what you LEGALLY purchase with your own, personal, hard earned money?!?!?! 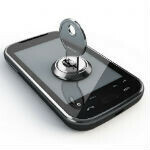 You don't fully pay for the phone until your contract obligations for the phone are fulfilled. so what about when you buy off contract? doesnt that mean you own it since you arent paying a subsidized price? If you bought it new and off contract yeah. Well this is gonna be rather hard to enforce on android devices. You see the whole open source thing makes unlocking/ exploiting kinda hard to fight. Android isn't fully open sourced. Locked bootloaders should be enough to tell you that. Android is quasi-open source, because while the source code is made available, it isn't made available until Google releases it. It's not like you can go in and help with the code for Android Key Lime Pie while Google is working on it right now, like you can with Ubuntu or Firefox. Locked bootloaders don't matter, but Mxy was almost right. Mike, sorry but your argument makes little sense. I can't imagine that the GPL requires a developer to publish non-final/unstable code (i.e. every time a character is added or removed from the code, intentionally or not). However, I would agree with you if you had claimed that Android does not comply with the GPL since it requires, in theory, all software associated with Android to be also be distributed as open-source (drivers, third party apps, etc. ), which I can't imagine they all are. locked bootloaders does not disallow the modding of a phone - on my DROID RAZR, locked BL, I use safestrap with TWRP recovery and can flash a JB ROM on it....and the one I have now is still better than the new JB update. locking a bootloader is entirely up to the manufacturer and carrier and even that can be easily broken since the code work for the newest versions of android has to be released. Yeah. Iceland seems to have alot more respect for consumers than the US. Maybe that's what the plan is. It's illegal to unlock your phone, because it will never be locked in the first place. That would be a heck of a twist. So maybe it's better not to get the subsidized phones now... Switching to T-Mobile after my contract ends. In the Philippines, most handsets come unlocked. Well, except for those few postpaid subscribers..
"To be clear, this will make it illegal to unlock carrier-locked devices without permission from your carrier." Is time for the American people to wake up from their fog, and start doing the right thing. Perhaps, we should dump, yes I know is never going to happen, carriers with locked devices and see what happens. I refuse to count minutes and text. Furthermore, not going to pay $10-20 for text packages, when I know the cost is minimal to the particular carrier. Verizon, think their providing an invaluable deal with their share everything. I rather go old school, purchase a flip phone, and use the internet when home. American people =/= government officials. Nobody likes this except carriers and those who they are paying. T-Mobile is already moving away from locked devices. The thing I wonder about is that Verizon said moving away from contracts is a good idea, but that doesn't necessarily mean moving away from locked devices. T-mobile fills me with hope. Actually, I had a very lovely conversation with a Verizon Data Technical Support Supervisor this past Sunday, apparently, my Verizon Galaxy Note 2, like the Iphone 5, is already unlocked. She said that most Verizon 4G phones are now unlocked, unlike Global 3G phones which have to be unlocked. Anyhoot, what I don't understand about the article, are we to infer that Jailbreak = unlocked and that the so called illegality of the jailbreak would also imply illegality of a rooted phone since, jailbreak and root are synonymous in certain technical circles?? Jailbreak doesn't equal unlocked. Jailbreak and root are synonymous, but they are different from unlocking. Jailbreak and root are legal because the court determined that users own the software on the device, but as of Saturday, we apparently don't own the hardware that we purchase, so unlocking becomes illegal. I'll update the article to explain this. Okay, do it quickly because people need to know and I'm about to post this on my wall.